Step away from the barbie this year because Watson’s Bay have joined forces with Aussie Sunglasses label, Soda Shades, to bring you the ultimate Australia Day party. Hosted by the faces behind the brand, Steph Claire Smith and Josh Miller, start the long weekend vibes off seaside. Bringing their clique of friends, shades, chains and bumbags; and curating the music line up, this party is all about celebrating the Australian way with a distinctively Australian brand. 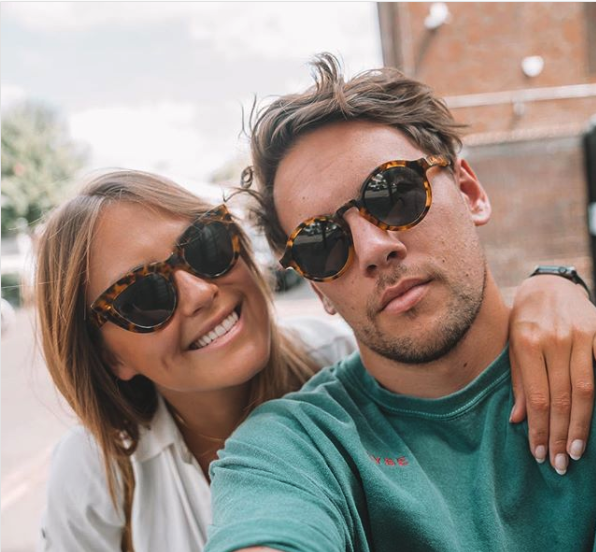 We caught up with the co-founders of Soda Shades, Steph Claire Smith & Josh Miller, to discuss the upcoming Australia Day shenanigans, future endeavours and of course, sunglasses! What made you launch a sunglasses brand? S: We both have always loved sunnies. I had more sunnies at one point than I did bikinis and activewear and that’s saying something hahah! We also did a collaboration with another sunglasses label years ago that fell through and it sparked our interest in starting our own label one day. Where do you find your inspiration for the brand and spec designs? J: We knew that there was room in the market for cool sunnies that were great quality, polarized and affordable! We keep an eye out on current trends, and chat to friends and our customers about what they want to see. We’re very hands on with our manufacture in the design process, and like to be across every corner of the business. If you could only wear one style of sunglasses for the rest of your life, which style would it be? S: Our Marilyns - I feel like the Cat eye style will never die. J: Our clear Riley pair - they go with everything. As founders of a successful business life must be busy, so when you’re old, grey and retired, how will you spend your time? Last but not least, what can we expect from your Australia Day party at Watson’s Bay Hotel? J: Well we’ve heard only great things about Watson’s bay, so you can expect great views, a great crowd, epic music and good vibes only. One thing you can't live without?